With the look of old hardwood along withthe colors of turquoise. Old rustic Hardware the look of River Rocks carve crosses in the simulated wood. 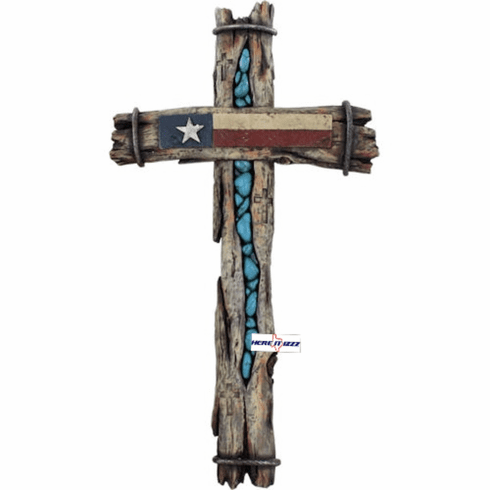 This Texas flag wall cross comes ready to hang and will look beautiful and your Texas home or trailer.